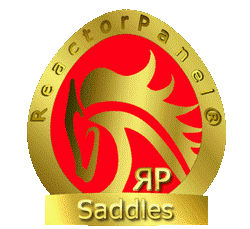 ReactorPanel Saddles were designed in the UK in the 1990’s and still The Most Comfortable, The Most Adjustable, Most Innovative Saddles On The Market. ReactorPanel® Saddles are used at The Highest Levels Of Competition…. Now Available…… Launched At The World Endurance Championship At Euston Park England 2012… ReactorPanel. The Third Generation.